Refrigerator Samsung rs265tdbp - refrigerator side not cooling, water collecting under drawer/crispers - Samsung rs265tdbp Refrigerator Repair in Palo Alto, CA. 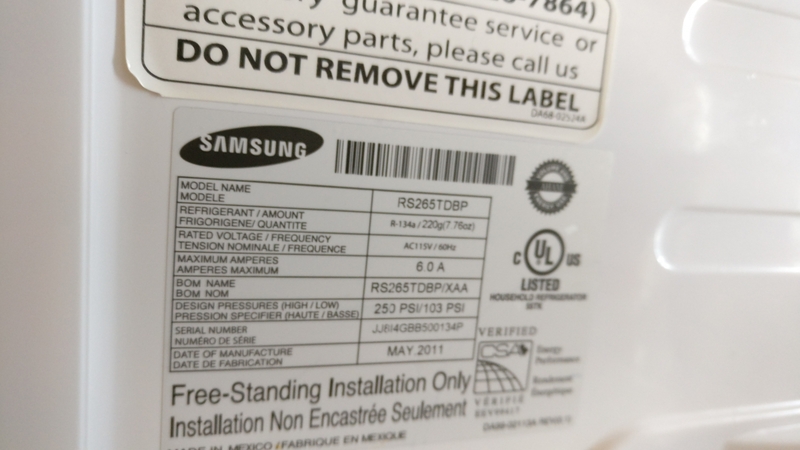 A customer called us for help with his Samsung rs265tdbp fridge, saying that the refrigerator side was not cold at all. 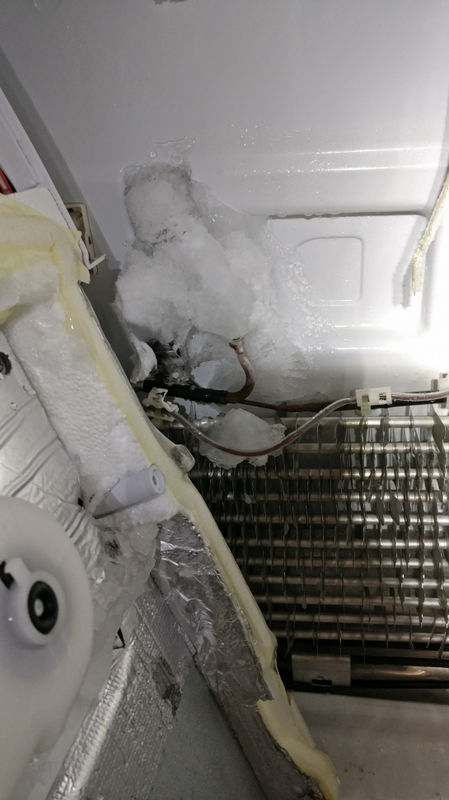 Once our technician came out for diagnostic, he removed the back panel of the fridge and noticed that the blower fan was jammed with ice. Also the upper left side was covered with ice and snow. 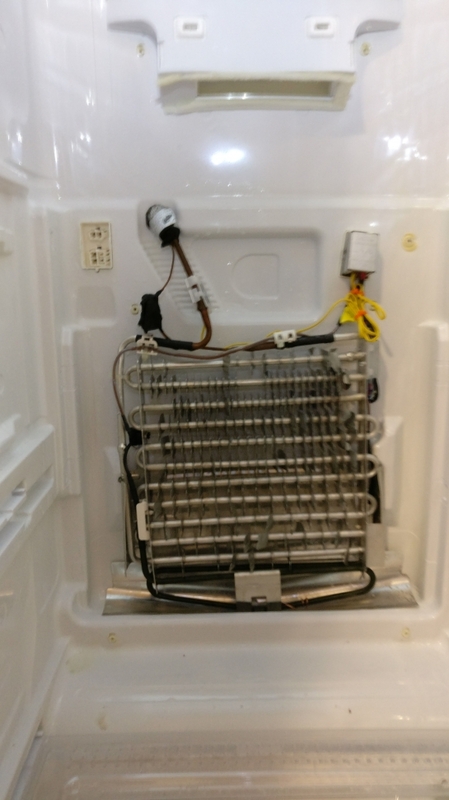 The tech replaced the defrost sensor DA32-00006W and moved it to where ice and snow were collecting. 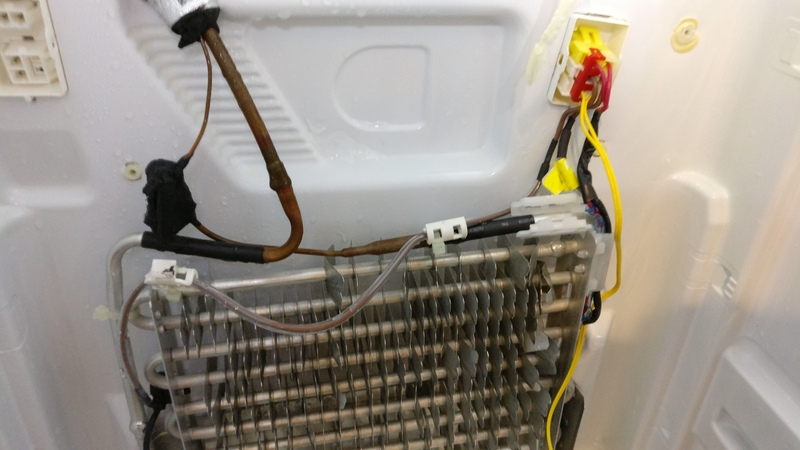 He also placed a copper wire inside the drain line because water was accumulating under the drawers, it would then freeze and clog the drain line. 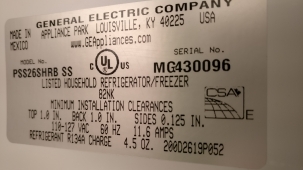 After that, the customer had no more issues with the fridge.